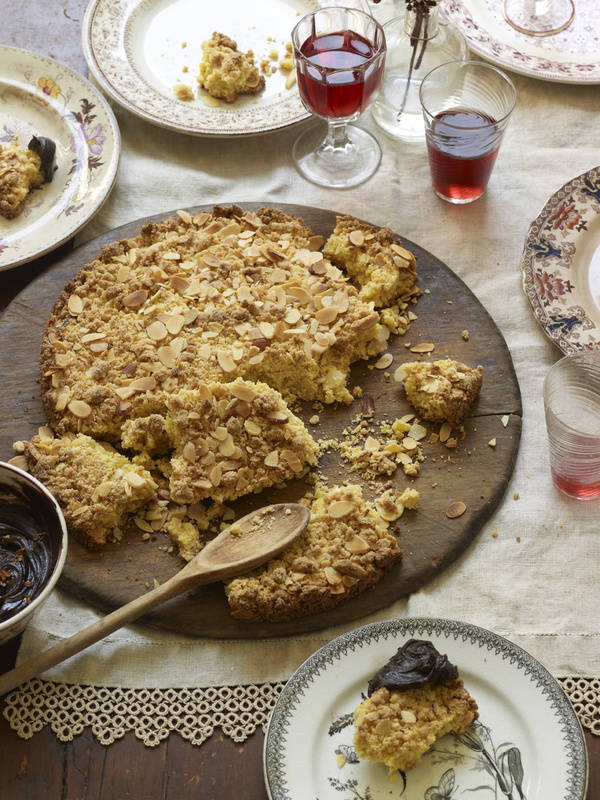 Nuts are popular in many Italian desserts like Torta della Nonna featuring pine nuts and Spongata, a honey-rich specialty of Emilia-Romagna filled with almonds, walnuts and pine nuts. Italy is the second-leading producer of hazelnuts in the world and they star in dozens of famous Italian candies including gianduiotti, Rocher and Baci. Sbrisolona, which means “crumbly,” isrustic and grainy with a homey taste. I’ve included it here because it’s really more of a giant cookie than a cake. In fact, in Italy, this dessert is not cut like a cake, but rather broken with the hands or with a wooden spoon at the table with everyone taking bits and pieces. 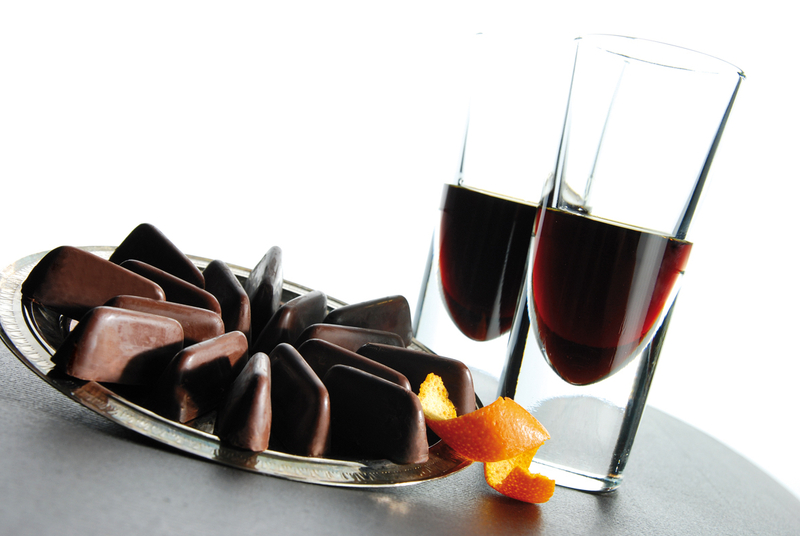 A typical dessert of Lombardy that’s so tightly tied to that region and Italian culinary heritage that authorities there have applied for official denominatzione di origine controllata DOC status. 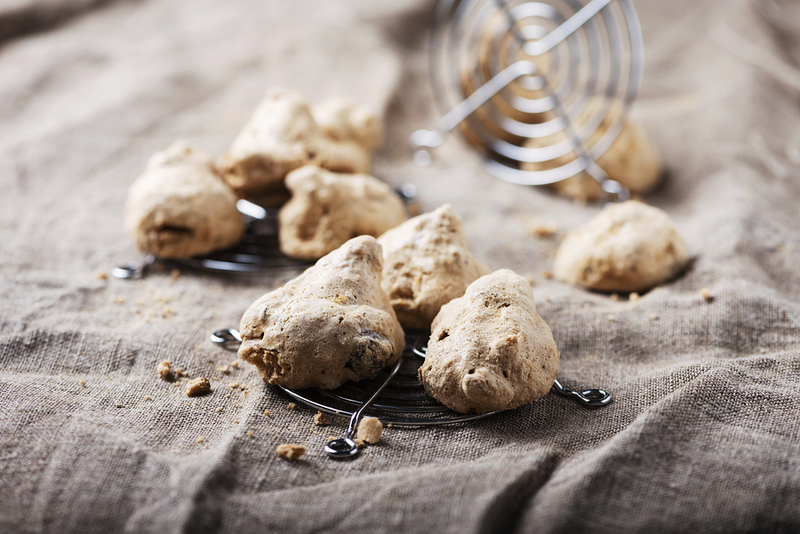 Brutti ma Buoni, which means “ugly but good” are crunchy on the outside, soft and chewy on the inside,these cookies from Piedmont are so delicious that almost every region of Italy has its own version. 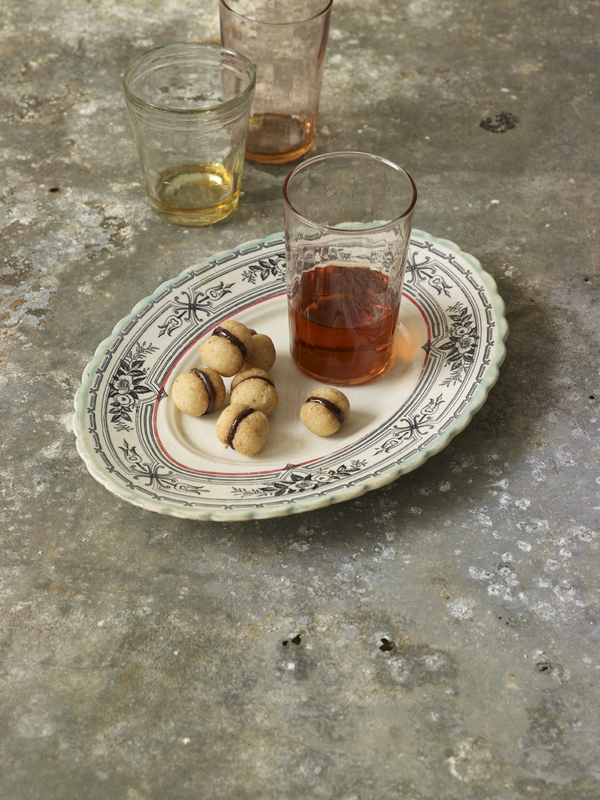 Pepatelli, honey-sweet, with a pleasing peppery bite and hint of orange these thin crunchy, biscotti date back to the Renaissance. Unlike most cookies, they’re made without butter or eggs. The absurdly simple list of ingredients—basically just honey, almonds, and flour—produces a very sophisticated cookie, especially wonderful when made with a strongly-flavored darker honey like chestnut or buckwheat. Pepatelli are a classic rustic dessert from the Teramo section of Abruzzo. Surprisingly, since it’s fairly far south, it’s also known as among the coldest regions of Italy. 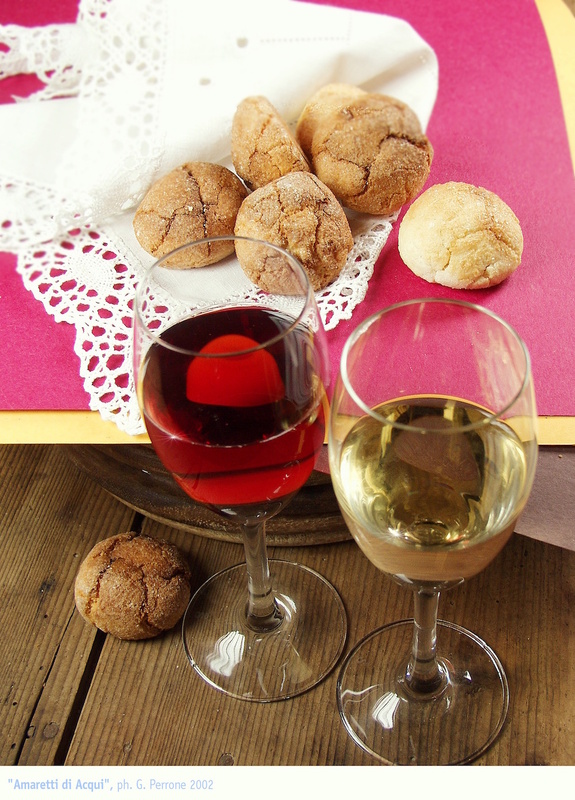 Pepatelli are typically served in the winter, especially for the holidays, enjoyed with a glass of vin cotto, the local Abruzzo dessert wine. 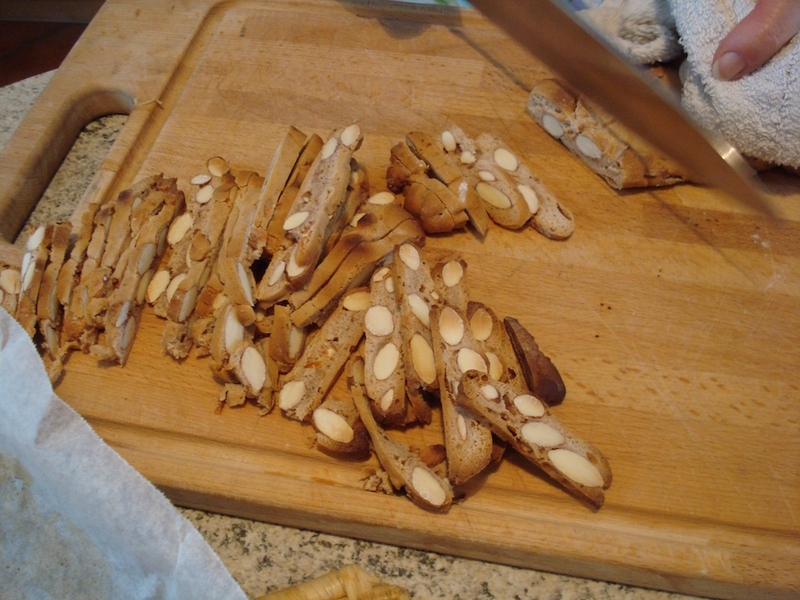 Cantucci, also called “biscotti di Prato”, are crunchy almond cookies created in the Tuscan town of Prato centuries ago. Cantuccini are smaller sized cantucci. Croccante, “crunchy,” are crisp nutty sweets that are a cross between a cookie and a candy. They can be made with all sorts of nuts. Pistacchio croccante are a specialty of Sicily, which is renowned for its Bronte pistachios. The chocolate sauce nicely compliments this specialty of Lombardy, but it’s fabulous plain too. Preheat the oven to 350 degrees. Butter a 10 to 11-inch spring-form pan and dust with cornmeal. For the cake: In a large bowl combine the butter (cook’s note: If you’d like an even crisper cake, use half butter and half lard), cornmeal, flour, sugar, almonds, yolks, vanilla, and zest crumbling the ingredients with your fingers until just coarsely combined. It should look lumpy and dry. Take loose handfuls and sprinkle into the prepared pan. It will be irregular and should be very crumby and free form. It must not be compacted. It will come together as it bakes. Top with a scattering of almond slivers or whole almonds, if you like. Bake for 50 to 60 minutes until golden at the edges and cooked throughout. Allow it to cool in the pan. Just before serving prepare the chocolate sauce. In a bowl combine the chocolate and heavy cream and melt, either in the microwave or over a double boiler. Add red pepper flakes to taste, and a Amaretto, if you like. Serve the cake at room temperature with the warm chocolate sauce on the side. If you like, instead of hazelnuts, try different nuts, like almonds or walnuts. In some parts of Italy the batter may include a little grated orange peel, a bit of vanilla, or pinch of cinnamon. Preheat the oven to 280 degrees F. Grind the hazelnuts and sugar in a small food processor to a sand-like consistency. Don’t over grind or you’ll create hazelnut butter. In a small bowl using a whisk or electric hand mixer beat the eggs whites until firm peaks form. Put the hazelnut-sugar mixture into a medium saucepan and fold in the whites. Heat over a very low flame, mixing with a wooden spoon, for about 8 minutes until thick. Remove from the heat and allow to rest for 10 minutes. Place tablespoon full dollops onto a parchment lined baking pan, you’ll get about 12. Bake for about 30 minutes until dry to the touch. In the microwave or in a small saucepan over low flame heat the honey until very warm and liquidy. Pour into a bowl along with the almonds, flour, zest and black pepper to taste. Mix, using your hands or a wooden spoon, until dough forms. It will be very dense and crumbly. Don’t worry; it’ll come together while it bakes.